The action-packed trailer for DC's Suicide Squad movie took fans by storm, revealing new scenes, new characters, and even more hard-hitting humor. But it also packed in more easter eggs, comic book nods, and hidden touches that viewers probably missed. We've made sure to catch the details that DC Comics fans won't want to miss. 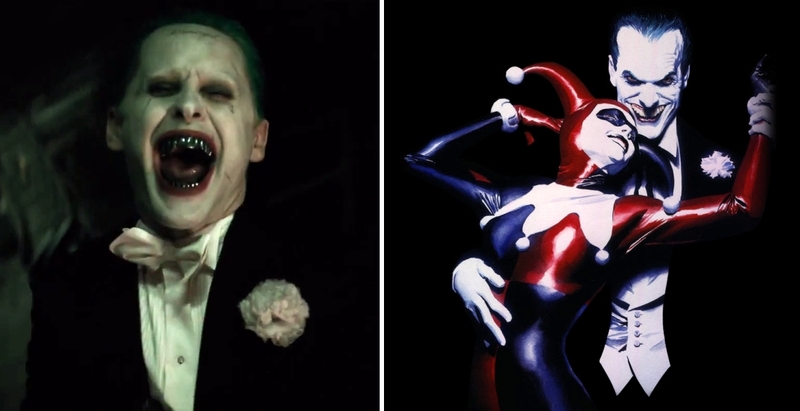 Here's Screen Rant's look at the Suicide Squad Trailer: 10 Easter Eggs You Missed. Viewers were probably more interested in the characters inside the prison uniforms than the writing on them, but the orange uniforms confirm that the movie's heroes are detainees of "Site Bravo" - apparently the codename for Bell Reve prison. The name itself doesn't reveal a ton about the story, but it explains why director David Ayer chose the name "Bravo 14" for the title of the movie while in production. The 14, well... we're open to theories. While the villains like Deadshot and Harley Quinn are transported to what looks to be an army base before their mission, the rabid Boomerang is a different story. He bursts from his sack and into a figh so fast, viewers might have missed the joke: it was no ordinary bag, but an Australia Post mailbag, a nod to the famous villain's Aussie roots. Whether you're a crazed criminal or not, any truly formal occasion demands a tuxedo - or in this case, a tailcoat - but the white tie and carnation capping off the look are a clear reference to one famous image of Joker and Harley Quinn, painted by noted comic artist Alex Ross. 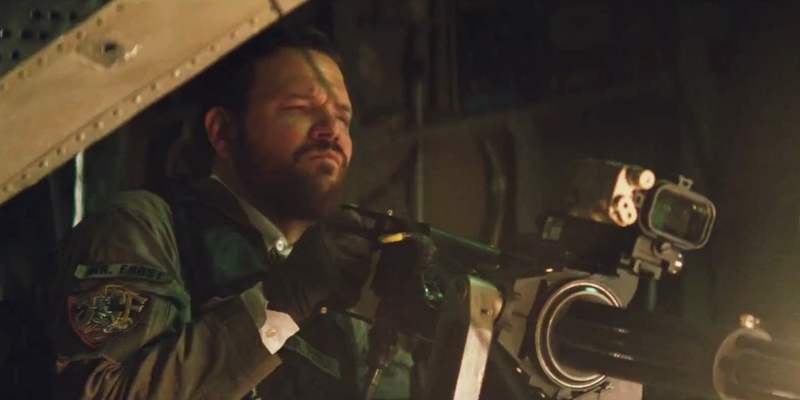 A single shot of the trailer shows actor Jim Parrack acting as a hired gun or henchman for Joker. But pay attention to the name on his sleeve, and you'll notice he's no random henchman: that's Jonny Frost, the Joker's right hand man who narrates Brian Azzarello's hit "Joker" graphic novel. Keep your eyes peeled as the action of the trailer unfolds, and you'll catch a few different signs that show it's all set in the fictional location of Midway City. Loosely based on Chicago, the DC city is most famous for being the home of two Justice League heroes, Hawkman and Hawkgirl. Samurai swords are nothing new to fans of martial arts films or comic books, but the one wielded by Katana is one of a kind. Known as the 'Soultaker' sword, the blade has the mystical ability to absorb every soul whose life it has ever taken. This one shot reveals how the filmmakers will be showing the souls contained within Soultaker, as spectral skulls radiating off of the blade like heat. If that weren't enough, Katana is also able to commune with any of the spirits residing in her blade. In the trailer, it looks like she's doing exactly that, with her eyes fading from completely white to completely black to show the link has been made. At least, we hope that's what we're watching. 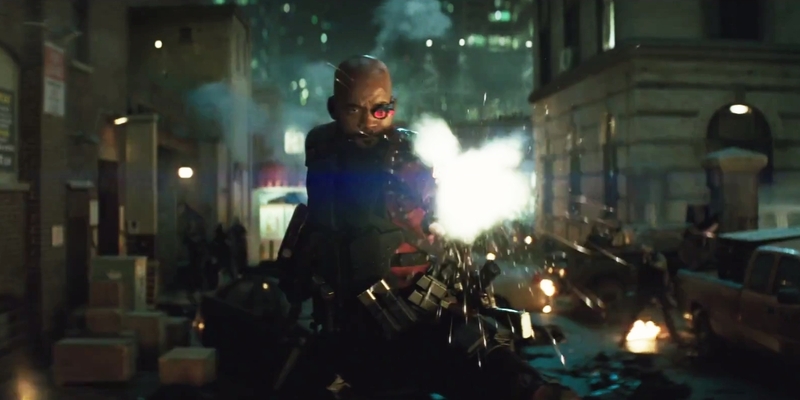 Batman has his Batarangs, Catwoman has her whip, and Deadshot has his wrist-mounted firearms. Although they began as weapons of imagination in the pages of DC Comics, the firearms team for Suicide Squad has come through with flying colors, bringing to life one scene that fans of the ruthless assassin have been hoping to see adapted to the big screen for years. Seeing the Joker take another jump into a vat of chemicals seems pointless, until you realize that he's headed in to retrieve Harley Quinn. The scene perfectly mirrors the New 52 origin of Harley, where Joker slowly manipulated her to his way of thinking, before tossing her into the same chemicals that created his twisted mind, and seeing Harley Quinn emerge. 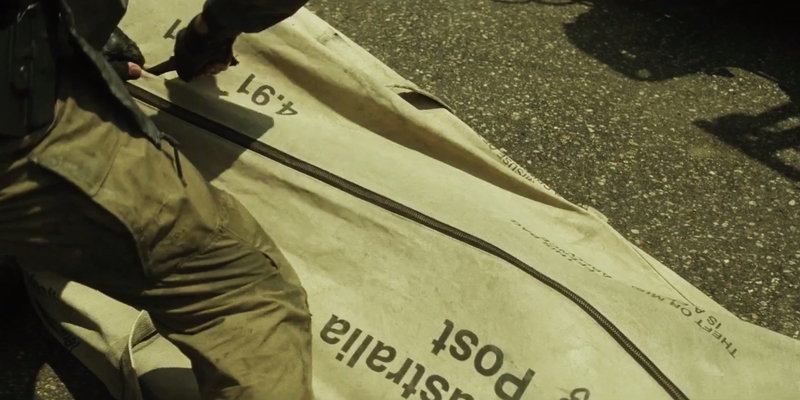 The last laugh of the trailer goes to Harley Quinn, who smashes a store window in the middle of a suicide mission. But take a closer look at the mannequin in the store, and you'll see the same Latin phrase repeated over and over: "si vis pacem para bellum." Translated, the phrase means "if you want peace, prepare for war." Somehow, we think that the Squad's mastermind, Amanda Waller would absolutely agree. Those are the easter eggs, secrets and awesome touches we spotted in the Suicide Squad trailer, but which ones did we miss? Let us known in the comments, and remember to subscribe to our YouTube channel for more videos like this one.